Instructions: Write your book description below. Then highlight & click the buttons to make them appear how you want. When finished, click "Generate My Code". Copy & paste the code into your book's KDP Description section. If when you go to publish your book description, and Amazon says “no” and responds with something like “Description may not contain invisible characters” this means that there are some <><> tags that don’t have anything in between the two “<>” and they must be removed before Amazon will be okay. About a year ago, Amazon made this change. That’s why sometimes when you go to update your KDP dashboard, a book description that you used to have that was acceptable, won’t be now. So, remove these and your description will be completely fine! How Did Invisible Characters happen? If you had something in the book description generator above, and formatted it, but then deleted it, the Generator will remove the words but won’t remove the formatting tags, thus leaving something like <ul></ul>. Amazon sees the code, but nothing in between them so it calls it invisible code. So, look for where there are some <><> with nothing in between them and remove them and you should be good to go. If you found the Amazon Book Description Generator helpful, please share using the buttons above! How to create your own, which I will explain below. There’s the easy way…or the hard way. Either way, your book’s sales page will be popping! Thanks to the programming side of the Kindlepreneur team, we’ve created a book description generator that anyone can use, without having to know HTML. 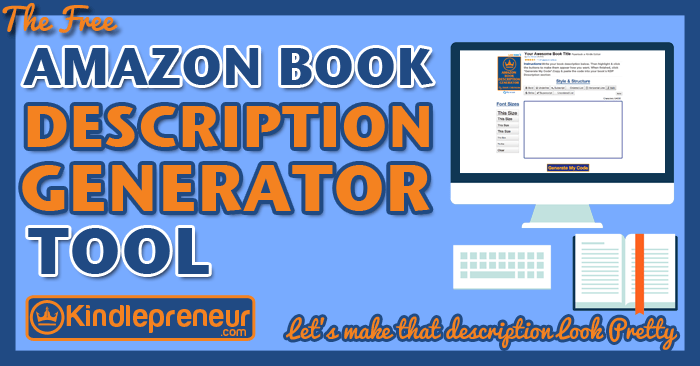 The above Amazon Book Description Generator will help you to create those beautiful descriptions with just a couple of clicks of a button. 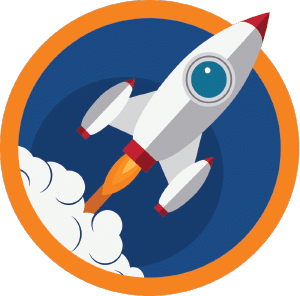 The best part is, even if you know your HTML skills, this tool will allow you to see exactly how it will look before you input it into Amazon. So, no longer do you have to guess, write, publish and then check your page to make sure you didn’t make a mistake or that it looks the way you want it. Type in your book description. Make sure not to use a pre-formatted version from your word doc. This will only confuse the generator and cause you to have a not-so-easy time. Instead, just type it in the generator or just use plain text. Highlight any section of your description and click on the button that represents how you want it to look like. Want the words to be really big? Just click on the button with the really big words. Remember that Amazon only allows 4,000 characters in the book description section. These 4,000 characters also include the HTML characters. So ensure your word characters plus HTML characters are 4,000 or less. Right below the “Generate My Code”, the HTML for your description will appear. 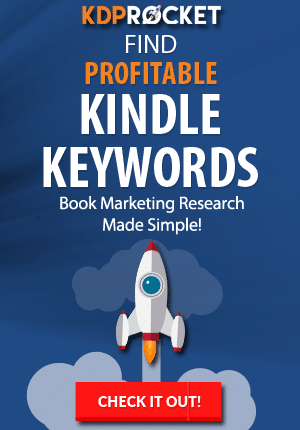 Copy that, and place it in your book description box in your Amazon KDP dashboard. Your update should show up in the next 24 hours. 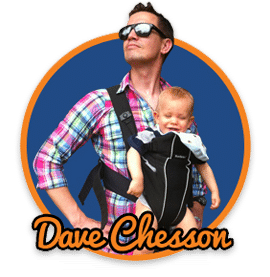 Now, say you’re all like “I don’t need no stinking free tools that will do it all easy like for me,” or you’re just curious like a cat and what to know how it’s all done, then sit back and grab a glass of wine because we’re going to get a little tech nerdy over here. Before we can get into Amazon HTML book descriptions, we’ll need to start by talking about HTML, HTML tags and CSS. On any website, if you want to make a font look a certain way, you need to add some HTML code to tell it to look that way. But back in the day, programmers would have to write LONG lines of code every time they wanted to change the look of the words on the site. However, one day, they got pretty smart and created a cache of predefined fonts that could be called upon within a website. It turns out that nowadays, we use an HTML tag to call upon a CSS font. Was that a little too nerdy? Okay, give me a sec to explain. 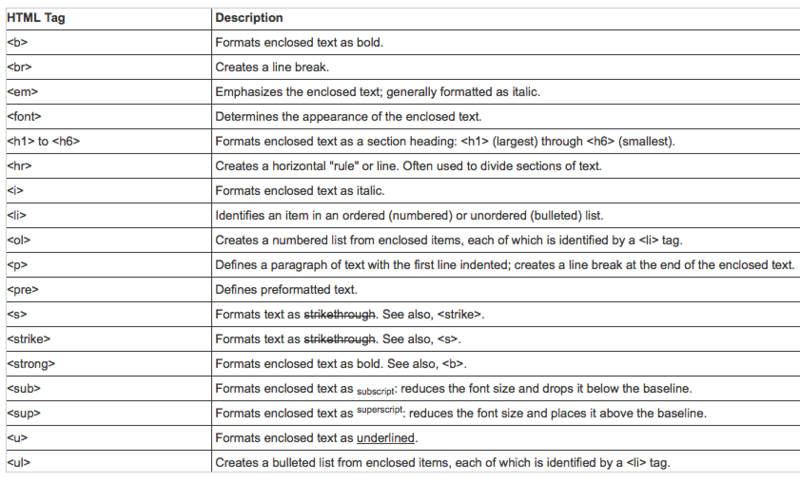 Every website has its own CSS or a list of what font will be used when called upon. So, to call upon a set of font, you need to use an HTML tag. If you write <h2> (which is an HTML tag), then that website will go through its CSS list and make the words that come after the <h2> look like whatever an <h2> is supposed to look like based on that website’s CSS. The same thing goes for making something bold with <b>. So, now do you understand what HTML tags and CSS are? Hopefully, you answer “yes” so let’s move on to what is allowable HTML tags with Amazon. Now you may be wondering, what HTML tags can we use on Amazon? Each one of those above is a particular HTML tag that you can use for your book description. Now that we know what we can use, let’s talk about how you can use them to make your ebook descriptions pop. Now that you know what tags you can use, let’s talk about how to use them. With HTML tags, you need to sandwich the words with the tag that you want to look like it. All the words between the <b> and </b> will look bold then when published on Amazon. Notice that the end part had that extra “/”. That demarks the end or closing of the bold tag. So, basically, any of the tags listed above can be opened and closed the same way around the text you want. Pretty cool, right? But before you run off and try it yourself, there are two particular HTML tags that need a little more explanation. The first is the H tag. H tags is comprised of H1, H2, H3, H4, H5, and H6. Usually, the CSS for these is made that H1 is the biggest font, and H6 is the smallest font. In the example above, I needed to first tell the website that I wanted an Ordered List by using the <ol> tag and then tell it each line each line with <li>. If you want to do a bulleted list or Unordered List, then just change the <ol> to <ul>. Of Note: For the book description generator tool above, all you need to do is highlight the lines and click on the button with the numbers or the circles and boom, it’s all done for you. Sadly, nothing is perfect…except for Chuck Norris. Remember how I said that CSS is different for each website. My H2 looks different from US Amazon’s H2, right? Well it turns out that each Amazon market has different CSS. The same HTML tags work for ALL Amazon markets, but because each market has different CSS, the words will look differently. Case in point: Amazon.ca and Amazon.fr have an orange H2. However, Amazom.com has a black H2. The US Amazon used to have orange but they changed it to black back in 2014. Don’t trust those out of date websites that say otherwise. So, just understand that all Amazon markets use different font styles, sizes, and colors. However, the differences will be minuscule. Want to have 1:1 coffee from some of the world’s top authors? Check out how I did it through MasterClasses.